Ready to bind, originally uploaded by nikkifilo. I’ve never made my own binding! 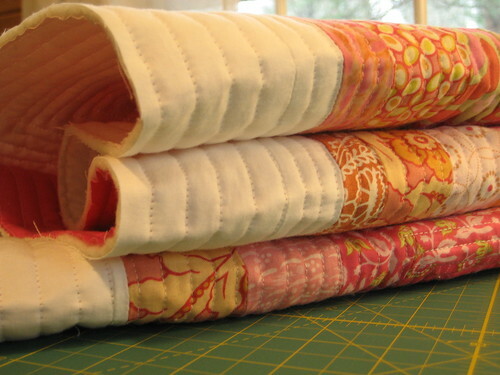 I’ve made so many quilts, but have always done the little fold over method and blanket stitched the edge….But since I’m a big girl now, lol, I’m going to do this right. I figure this is also the first quilt that I’ve ever actually QUILTED so its only right that I do it all! 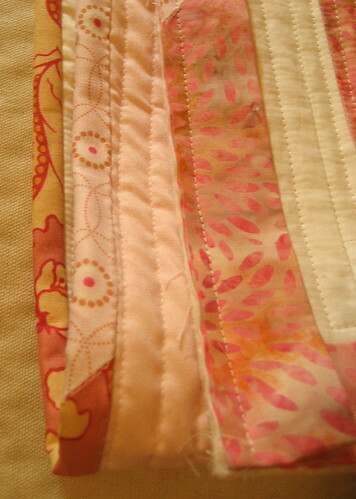 I am so excited that my quilts and I are growing up!